It is so easy to whip perfect egg whites with a Thermomix. The Basic Cookbook whips the egg whites at speed 3.5 for 3 minutes. 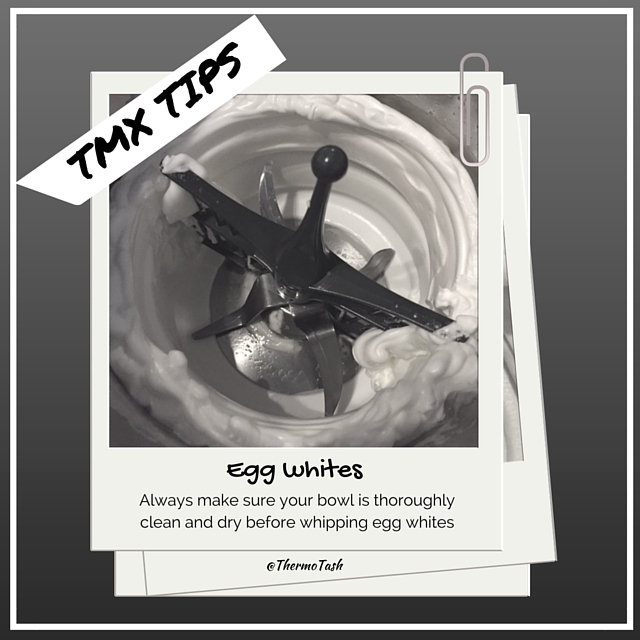 But sometimes they don’t work out and the tip to whipping egg whites in your Thermomix is making sure the bowl and blade is completely clean and dry before getting started. If you have cooked something with fats (butter, oil etc) prior to whipping the egg whites there can be some residue left in the bowl so you want to ensure the bowl is thoroughly clean. 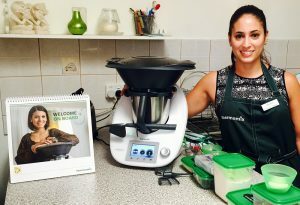 Do you have any more tips to whip egg whites in your Thermomix?